Sweet Pea & Petunia's website is about to launch and we couldn't be any more excited! For our very first blog post we are going to share floral details about one of our favorite weddings we designed at Loulu Palm Estate last spring. Why is it one of our favorite weddings you might ask? Because of the many fun textures, bright colors, and whimsical details! It's hard not to smile looking at these colorful photos by Mike Pham Photography. 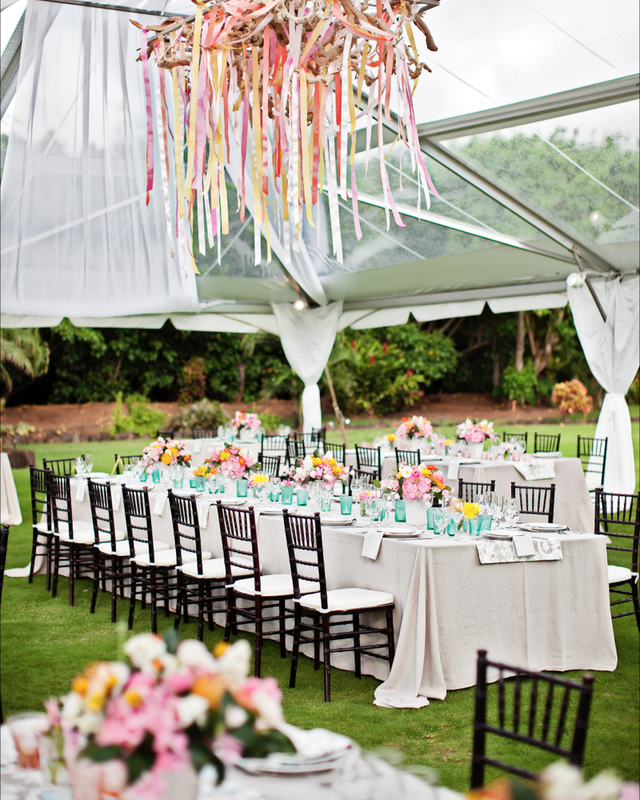 Playful, eclectic, rustic, whimsical... just a few words to describe this unique wedding held by the beach on the North Shore of Oahu. Spring is such a wonderful time of year for flowers. Such an abundance of floral varieties to choose from! For this wedding we were able to incorporate poppies, nerine lilies, peonies, pin cushion protea, ranunculus, lilac, and freesia. Lilac and peonies are always a favorite! Adding just a touch of foliage gave the designs the perfect amount of contrast. A driftwood arch with foliage vines and bright, textured flowers frame the bride and groom. 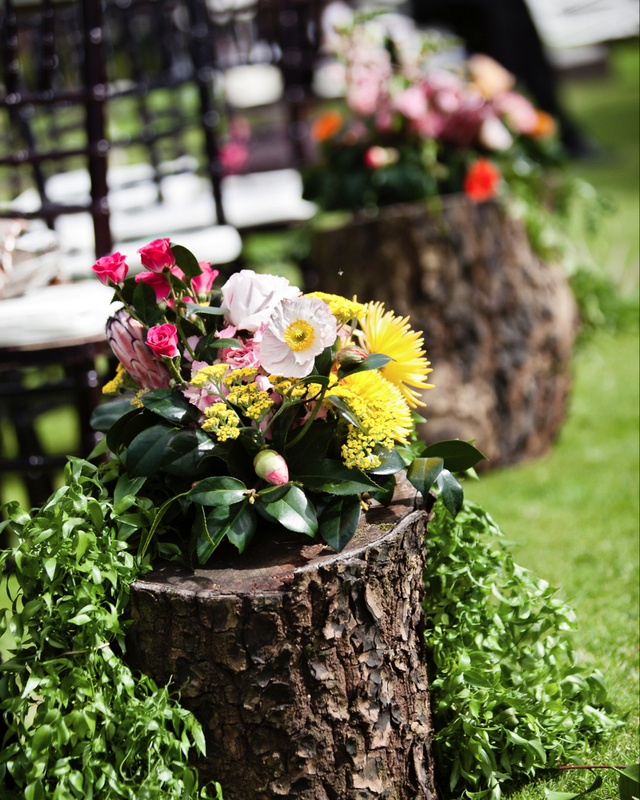 Large wood stumps propped up the aisle arrangements. A heavenly bouquet of lilac, ranunculus, garden roses, poppies, and billy balls. Mood Event's driftwood and ribbon installation hung over the head table. Each centerpiece had it's own unique mix of flowers.